Sun Tzu advocated in 'The Art of War' the best line of defence is attack. This adage has not only been proven to be relevant in Eastern and Western military thinking, legal strategy and business tactics etc, but it could also be an effective method in the management of pests in the garden. What is meant by 'attack' being a 'defence'? Providing plants that they like to visit for shelter and also use as another source of food for their diet (the sugar from the plant's flowers). Indeed there are some beneficials who require nectar in order to mature their eggs eg hover flies. Use a wide variety of plants that flower at different times of the year. Plantings that are at least 1.2m x 1.2m which seems to give the predatory insects enough shelter and food. A bird bath to not only attract birds but beneficial insects too. 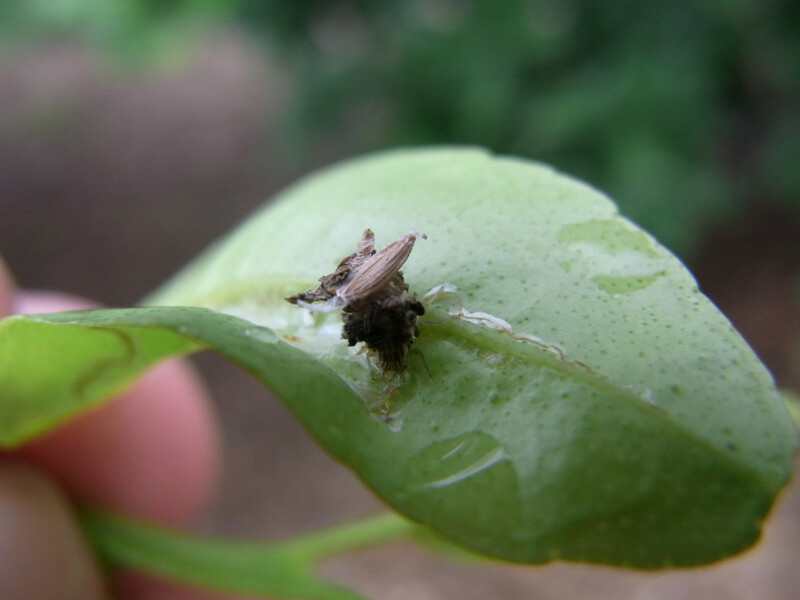 Tolerate minor pest infestations - the beneficial insects will usually start doing their job, long before you even notice a problem. Another response would be to limit the use of harmful sprays in our gardens. Sprays are not discriminantory in their effectiveness - they kill beneficials too. Generally beneficial predators have a slower reproductive cycle than the pests - so the pests will quickly bounce back and be winning that particular race! 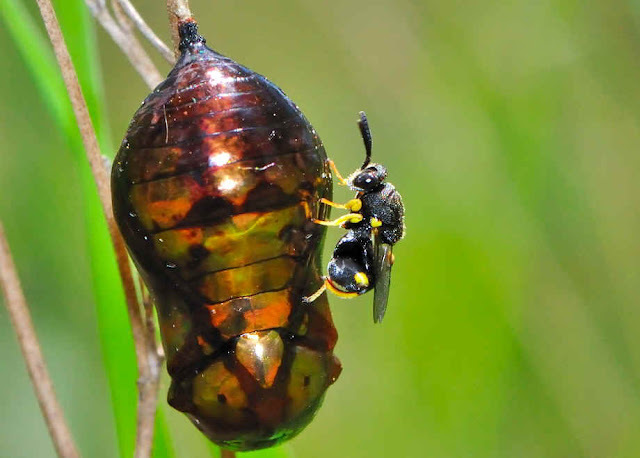 For an excellent article on predators, parasites and parasitoids (with terrific descriptions of each) please visit https://australianmuseum.net.au/predators-parasites-and-parasitoids. Good Guys - Brown and Green Lacewing, Damsel bugs, Aphid parasitoids, Ladybugs, Praying mantis and Hover fly. 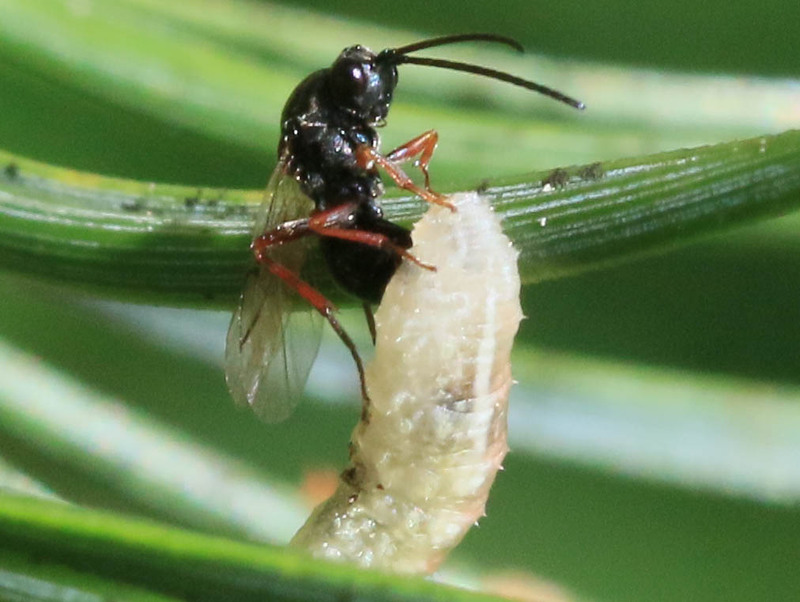 Good Guys - Trichogramma wasps, Damsel bugs, Larval parasitoids and parasitic wasp. 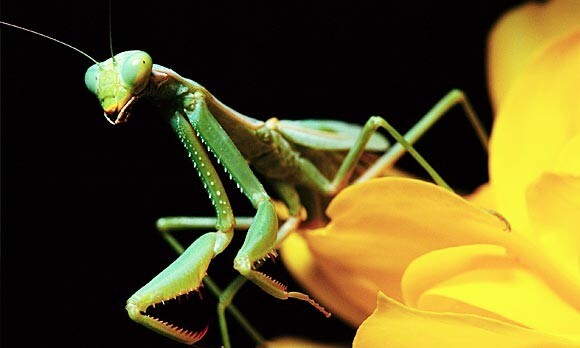 Good Guy - Praying mantis. 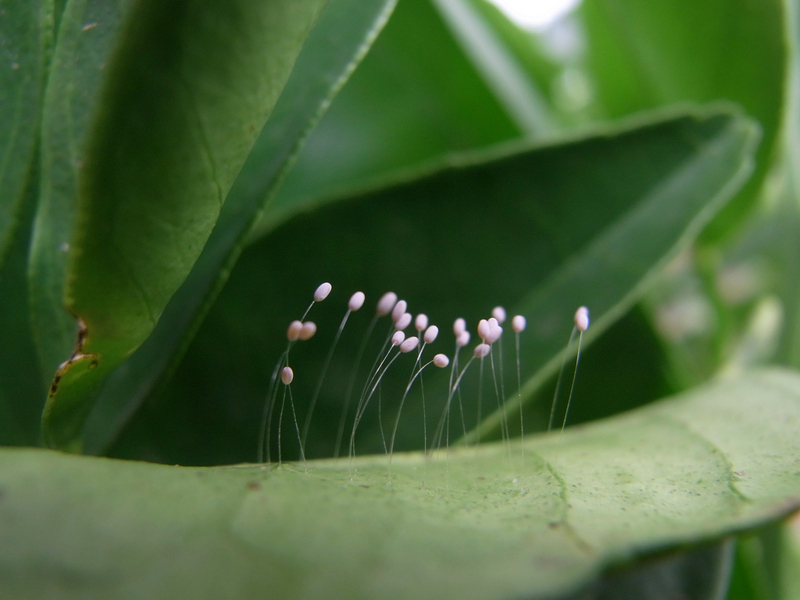 Good Guys - Lacewings, Ladybugs. 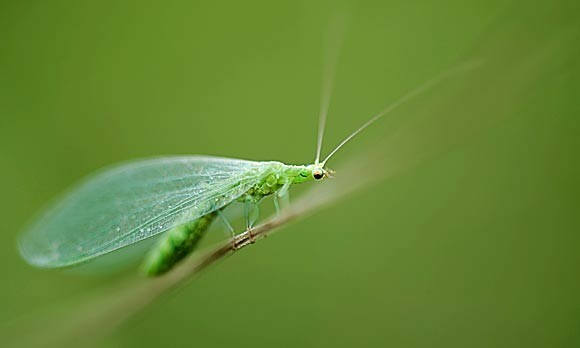 The adults are really a beautiful bright green with lacy wings but the larvae go mostly unnoticed because they carry their favourite snack wrappers on their backs! They eat mites, juvenile whitefly, small caterpillars, moth eggs and have a voracious appetite for aphids. They are known to eat mealy bug if the offerings are a bit slim from the preferred list. This eight legged mite is a very busy little fella - they are very small but do a big job eating Two Spotted Mite or Red Spider Mite. 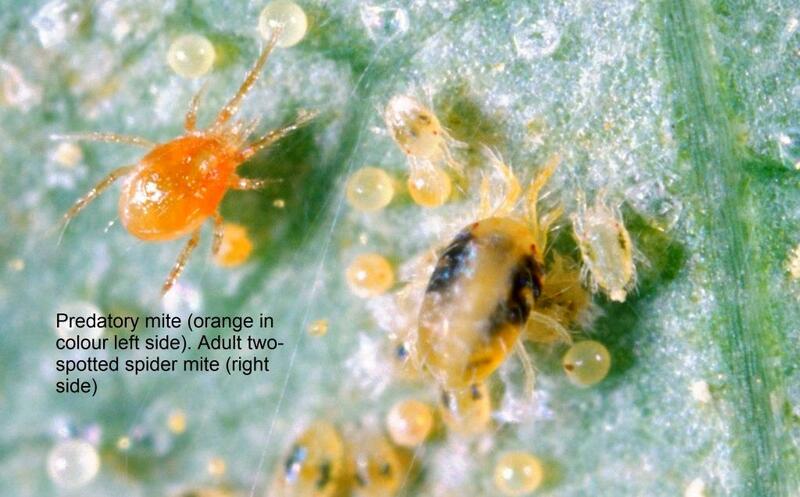 You may have an azalea which has been infested with the latter, so this predatory mite would be a good one to encourage. 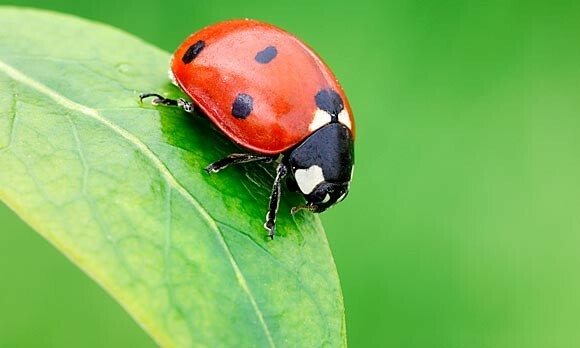 There are a few Ladybugs that are beneficial to our gardens. 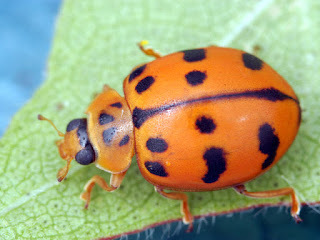 Harmonia octomaculata (spotted ladybird beetle) primarily target aphids but also known to also eat whiteflies. 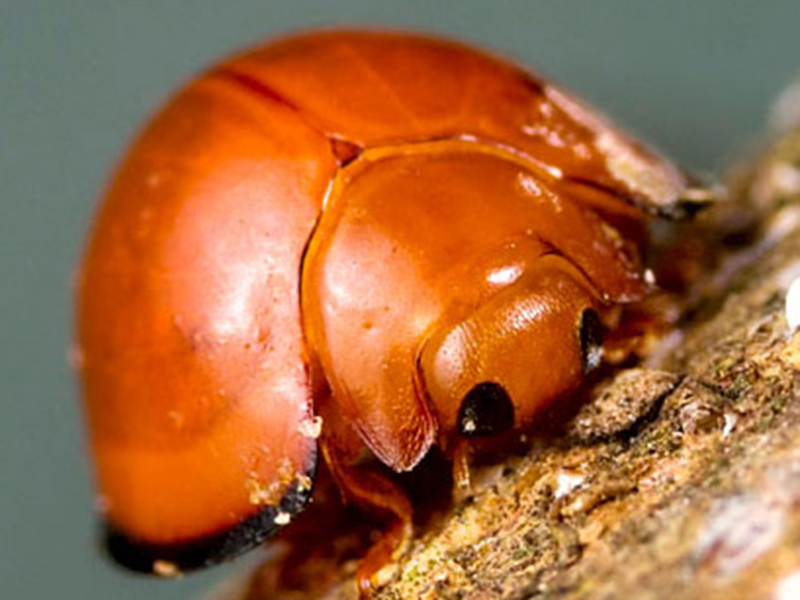 Cryptolaemus Ladybeetles eat mealybugs and soft scale. Chilocorus Ladybeetles are specific scale eaters and target armoured scale insects including Red Scale, Oriental Scale, Oleander Scale and White Louse Scale. These tiny wasps are harmless to humans, but they lay eggs inside the bodies of insect larvae and eggs. The adult parasitic wasp does not get any nutrients from their prey, the adults usually get all their nutrition from nectar. There are heaps of plants we can grow to encourage the good guys to stay in our gardens. To see a very comprehensive list please visit Permaculture Research Institute if you are looking to plant for specific beneficial predators. 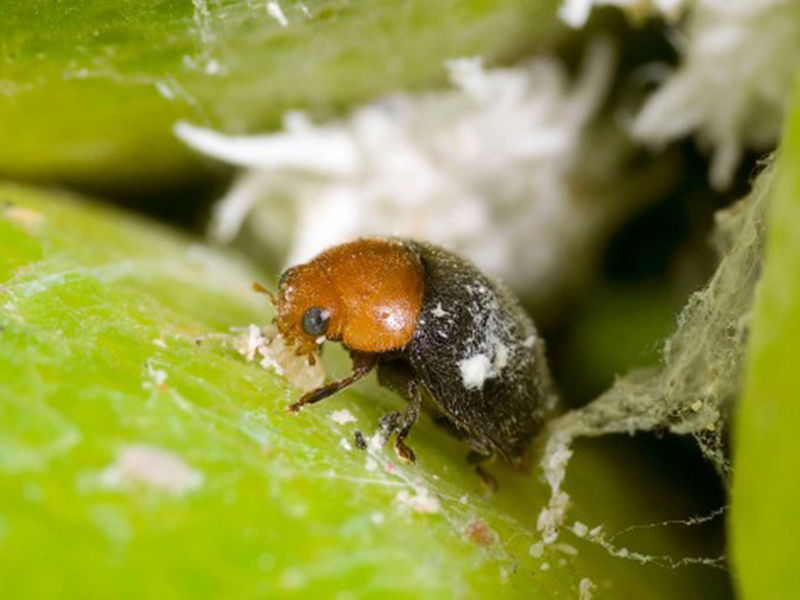 In conclusion, if you are serious about biological control of pests in your garden, you may want to take steps to increase the predator population. Many types of beneficial insects can be purchased and released to control specific pests. Visit the Australian Biological Control website www.goodbugs.org.au for more details.